The story of A Different Twist began in 2001. In response to a fundraising effort for her daughter’s elementary school’s Relay for Life™ Team, Kathi Ellers created a bracelet for the event. The response was overwhelming, and the school team was able to raise thousands of dollars. She continued making bracelets and sold them to other teams, hospital gift shops and others involved in raising funds for cancer research and helping patients and their families. From that small beginning, A Different Twist has grown to a national supplier for quality awareness jewelry for individuals, fundraisers and retail outlets. Our jewelry line now represents over 20 different specific cancers and over 30 other causes. A Different Twist remains committed to strong customer service, attention to individual orders and caring about you—our valued customer. 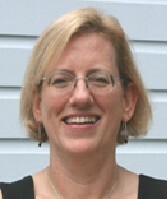 Beginning in January 2009, Patty Rosencrantz took the reins as the new owner. 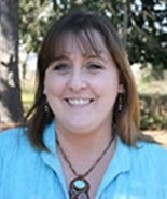 As the office manager for several years, Patty was familiar with the business and the needs of our special clients. Since 2004, Theresa Caroon has been the Beading Production Manager for A Different Twist. As a professional jewelry designer in her own right, she was a runner up in the 2008 Swarovski® North and South American Create-Your-Style Contest. Having lived in Washington state, Texas and Germany, Theresa now makes her home in North Carolina with her husband and three children. When not beading for A Different Twist, she designs websites and creates inspired designs that can be seen on her website www.ladytstudio.com. 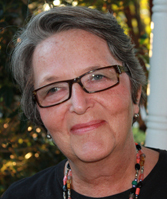 Kathi Ellers, the founder, remains a part of the company. As the originator and designer of our jewelry, she now is a consultant, advisor and mentor, and part-time beader. Aside from caring for her husband, two children, 2 dogs, and 2 cats, she is pursuing a career in school guidance counseling. contact A Different Twist weekdays 10am to 6pm Eastern time. phone number where you can be reached during the day or early evening. You can reach us by phone, email, mail or fax.